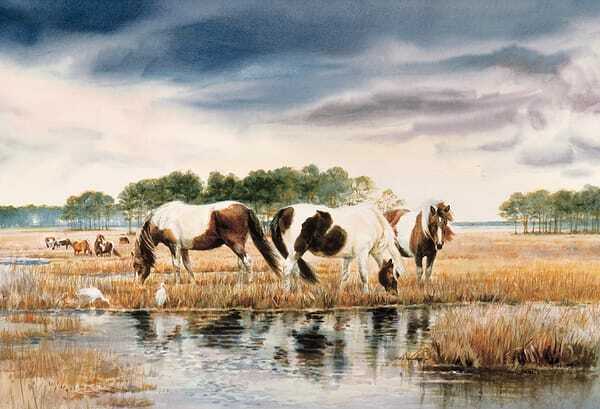 Susan Dorazio is a New England artist who has specialized in the field of equine art for over thirty years. She is a fine arts graduate of Silvermine College, Connecticut and studied illustration and graphic design at the University of Bridgeport, Connecticut. 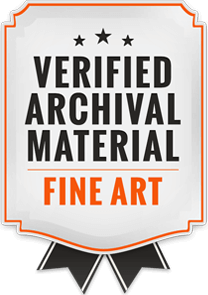 All of her work, including portraiture, in watercolor, oil, or pen and ink, realistically evokes mood, energy, and atmosphere. Her compositions are comprised of her own experiences in the field, photographing subjects at different locations locally and across the country. 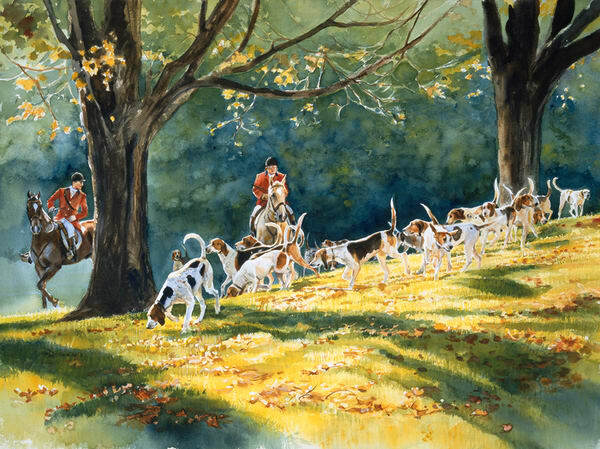 She teaches watercolor workshops through the American Academy of Equine Art in Lexington, Kentucky, and at her home studio in Colebrook, Connecticut. Currently she is working with a writer on a book that will feature her paintings. 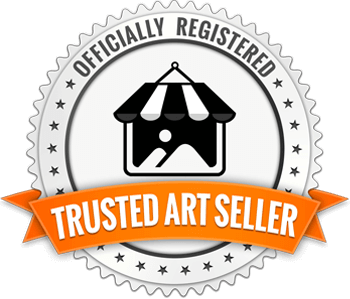 Susan has won a loyal and enthusiastic following of collectors who treasure her paintings for their appealing rendition of the horse in authentic settings. 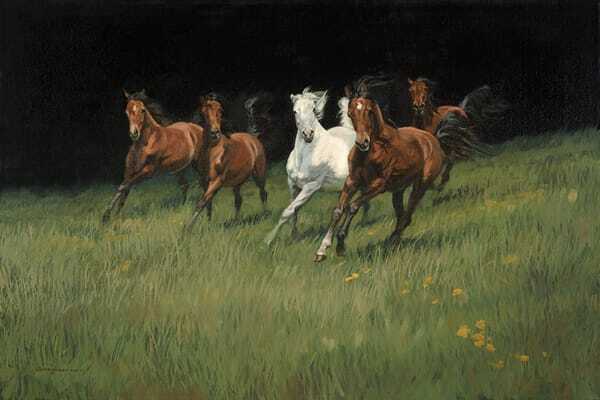 Her paintings have been featured in numerous equine publications such as the Chronicle, Hoof Beats, and The Pedlar. She has also received numerous awards, including Best in Show at the AAEA, Harness Tracks of America, and Draft Horse Classic National Art Exhibits. 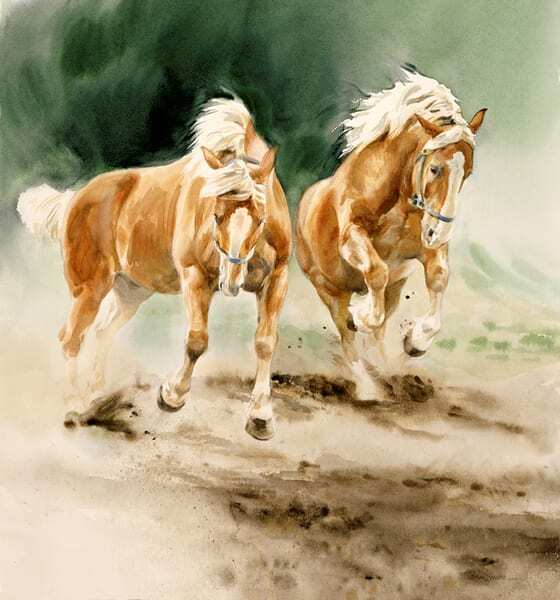 As a full member if the American Academy of Equine Art, Susan's work can be seen at their yearly exhibitions throughout the country. She also exhibits at the P.S. Gallery in Litchfield, CT and the Millbrook Gallery in Millbrook, NY.